Kali Tunes, a fast-rising Nigerian singer, based in the South-South region is out with a bang titled “Dollar Rise”, this comes up not too long after he released his hit titled ‘Kokosi’. His new song titled “Dollar Rise” is based on reality motion. Kali Tunes is a music producer, actor and song writer who is also a student of the University of Calabar. Dollar Rise by Kali Tunes was produced by Pimps Beat, one of Port Harcourt’s finest producers who have collaborated with top Nigerian music artistes including Skales and many others. 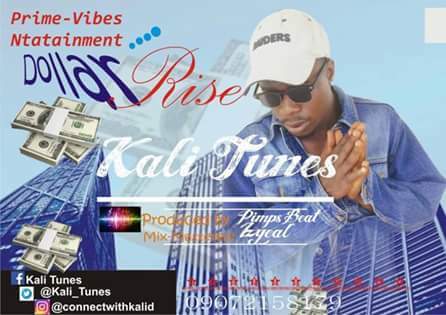 You all should get Dollar Rise by Kali Tunes on your playlist as soon as possible. 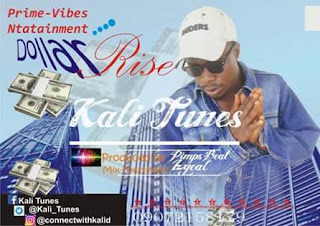 Download Dollar Rise by Kali Tunes below..